While the government bails out big banks, the big banks squeeze the little guy. The Daily Beast’s Nomi Prins calculates how individual banking fees funds their risky activity. While the government bails out big banks, the big banks squeeze the little guy. The Daily Beast’s Nomi Prins calculates how individual banking fees fund their risky activity. Too big to fail means big enough to screw taxpayers twice. That’s my conclusion after a few weeks of combing through FDIC databases, trying to calculate the price to consumers following the decade of bank consolidation—following the 1999 repeal of the Glass-Steagall Act—that reached a government-sponsored peak during last fall’s economic crisis. As banks keep merging, so does their share of our deposits. In 1998, the five largest U.S. commercial banks held 19 percent of total domestic deposits. In 2004, they held 27 percent. And since the Federal Reserve brokered marriages of the largest banks last fall, it is now 40 percent. Not only do big banks charge higher service fees for the luxury of taking your checking deposits and using them as capital for other ventures, but the interest they provide is comparatively abysmal. In layman’s terms, this means that the biggest banks enjoy increasingly captive power over their customers—the opposite of competition in the so-called free markets. That dominance provides the inner-circle banks every incentive to do everything they can to profit from their newly acquired customers (and old standby ones). After all, our deposits, plus fees and charges, represent the highest quality of real money for them to work with. That’s aside from the backing we’ve involuntarily provided through various federal sustenance programs. Captive customers are very lucrative. Nearly three-quarters of banks’ total service charges of $34.3 billion in 2008 came from overdraft or NSF (not sufficient funds) fees. That’s our money. It’s not like banks don’t require payment for their services in order to sustain them, but the problem with the biggest banks is that they extort disproportionate sums from customers relative to the smaller banks, in almost every way. In general, not only do big banks charge higher service fees for the luxury of taking your checking deposits and using them as capital for other ventures, but the interest they provide on these, and savings accounts, are comparatively abysmal relative to smaller banks. Citigroup, Bank of America, Wells Fargo, and J.P. Morgan Chase don’t even make the top 25 in highest savings interest rates provided. Yet the rates bigger banks charge to lend money are higher than smaller ones. Big banks like Wells Fargo charge an average annual rate of 14.2 percent for its credit cards, Citibank (the consumer-banking arm of Citigroup) charges an average of 15.99 percent, whereas smaller banks like First Command Bank or CNB Bank charge just 4.5 and 5.25 percent, respectively. • Jeff Madrick: Why Washington Won’t Prevent Another MeltdownThough banks aren’t compelled to disclose how much of their profit comes from fees, the Service Employees International Union has done some good research in this area. Based on their research, J.P. Morgan Chase’s bank fees comprised 71 percent of its profit for the first half of 2009, or $3.45 billion. Citigroup earned $326 million in service and credit-card fees, or 95 percent of its profit for the same period. Bank of America made $5.26 billion in bank account fees, 70 percent of its profit. Much of the rest of their profit came from trading revenue, predicated on risk-taking on the back of capital raised either through federal support, or using our deposits as collateral on which to lend or borrow. Overdraft charges are administered not only to people who don’t have enough money in their accounts to pay their bills, but also to customers who may keep enough money in their savings account, but get slapped for not transferring it at the appropriate moment to their meager-interest-rate checking account. Media and congressional noise about these egregious practices prompted Senate Banking Committee Chairman Chris Dodd (D-CT) to unveil the Fairness and Accountability in Receiving Overdraft Coverage Act, which would force banks to rethink them. Among other suggestions, Dodd’s act requires banks to gain customers’ "opt-in" approval for their overdraft programs. Less than a week after Dodd announced drafting the legislation, J.P. Morgan Chase, Bank of America, and Wells Fargo responded by voluntarily announcing changes to their overdraft programs—in the hope of thwarting Dodd from going through with it, but that didn’t work. There are other regulatory concerns. The Riegle-Neal Act, which is supposed to be enforced by the Federal Reserve Board, holds that no bank hold more than 10 percent of national deposits. Bank of America, Wells Fargo, and J.P. Morgan Chase sit at 13 percent, 11 percent, and 9 percent of national deposits held, respectively, according to my calculations. But even though they provide customers better savings and lending terms, smaller banks find it harder to raise cheap funding to keep these services going, simply because investors know they don't have the same federal backing for the future that the big banks get. In a recent study, Dean Baker at the Center for Economic Research computed that big banks might have as much as a $34 billion advantage on financing because of government subsidies relative to smaller banks. Which is why, so far this year, the FDIC has closed 115 banks, compared with 26 in 2008 and three in 2007, and the pace of seizures has recently increased as credit losses mount. None of the banks seized by the FDIC received any TARP funds, for instance. (Though the latest Chapter 11-bankruptcy candidate, CIT, did receive $2.3 billion in government aid last fall.) Big banks benefited from their disproportionate government assistance as their smaller competitors were kicked to the curb. As long as mega banks remain intertwined along lines of commercial banking and consumer oriented services, vs. investment banking and speculative activities that count on federal, deposit, and fee capital in order to operate—our money is doubly on the table—through government support and fee extraction. If Congress, the Fed, and the Treasury Department continue to address the problem of "too big to fail" and "systemically important" with so called reforms that keep these banks big while asking them to put aside more capital for risk mitigation purposes, that capital will likely come from their most solid source—us. 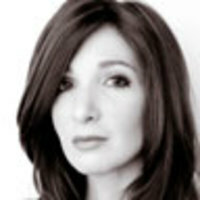 Nomi Prins is author of It Takes a Pillage: Behind the Bonuses, Bailouts, and Backroom Deals from Washington to Wall Street (Wiley, September 2009). Before becoming a journalist, she worked on Wall Street as a managing director at Goldman Sachs, and running the international analytics group at Bear Stearns in London.